Mark Shenton: Is it wrong to stage a (nearly) all-male play? We go to the theatre partly to see ourselves: to see our own lives and experiences reflected back to us. But we also go to the theatre to see other lives: to experience life through others’ eyes, and so to come to a greater understanding of ourselves and our own place in the world. I often say that theatre enables me to live my life vicariously; and many actors I’ve spoken to say the same thing: that acting is a way of living more than one life at a time. No single play (or musical) can ever hope to encompass the whole range of human experience, and nor should it. What theatre does so often and so profoundly is to find the universal in the particular: we relate to the stories we are being told by dint of their truthfulness. It is a show that even now is receiving simultaneous but very different productions in London and New York, at the Menier Chocolate Factory in London and Off-Broadway respectively. I’ve not seen the Menier show, but the New York one (about to transfer from the Museum of Jewish Heritage in Battery Park to Stage 42 on 42nd Street) is remarkable: it’s performed in Yiddish, with English surtitles, which makes it sound even more specific to the community it portrays. 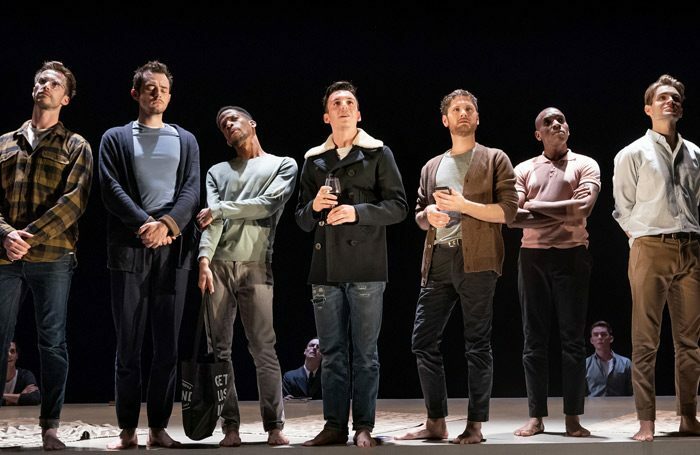 This week, I revisited the first part of The Inheritance, Matthew Lopez’s epic about the legacy of HIV/Aids on the gay community and the entire generation it lost us. It’s a reminder of what those years cost us, but moreover wonderfully reclaims and reasserts the importance of remembering our history. It is rare that I feel like a play is talking directly to me (and my surviving generation of gay men), but this play did. But does Top Girls (soon to be revived at the National) fail by not representing men? Playwrights choose what and who they write about; and it’s not for critics to direct them. But I’m grateful, moved and honoured that Lopez has written about his – and my – community with such feeling, tenderness and care. In the process, the play transcends the usual prism through which we hear these stories. I was struck, in particular, by just how mixed the audience was. White, black, young and old: this is what an inclusive theatre looks like. That is absolutely what theatre should aspire to, but it does not mean that works of art should not tell stories that are rooted in specific communities.